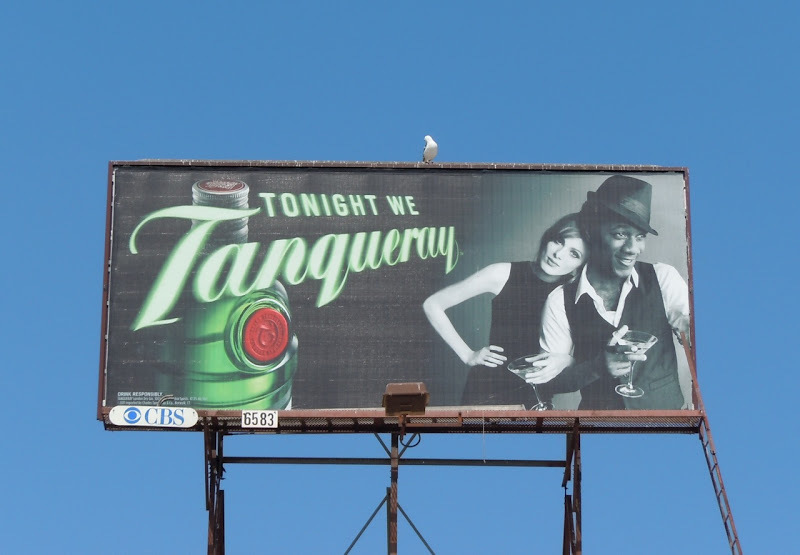 You always see so many ads for vodka and beer brands that it's nice to see a few billboards around L.A. for gin. 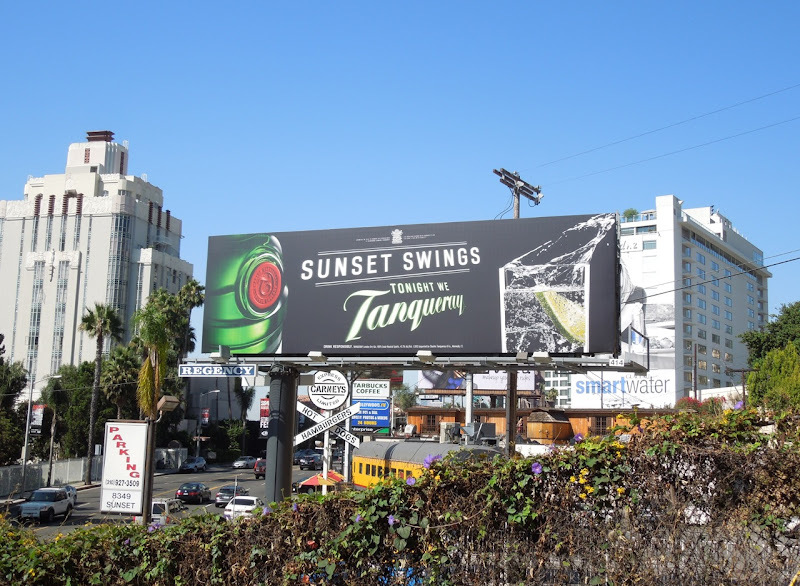 These fun creatives suggest you'll have a cool time drinking your martinis and other gin-based cocktails. 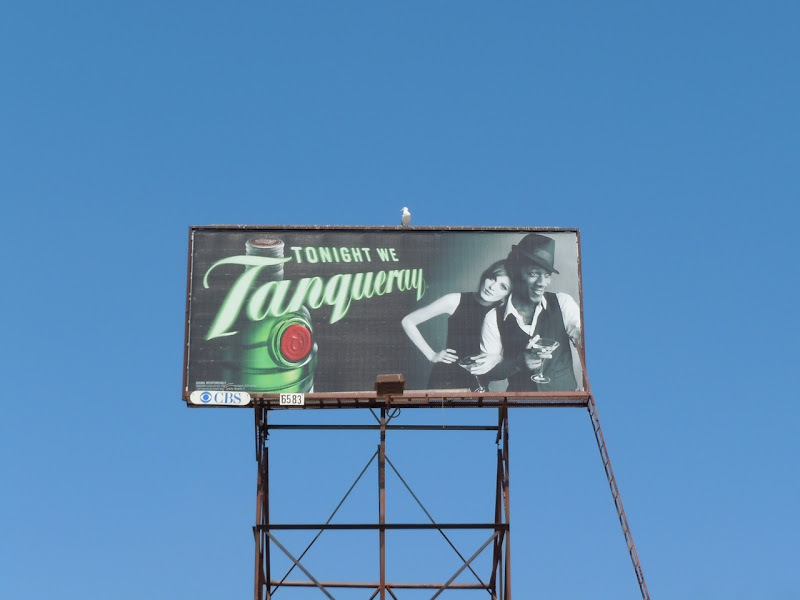 These Tanqueray billboards were snapped along Santa Monica Boulevard and Beverly Boulevard on August 21, 2011. 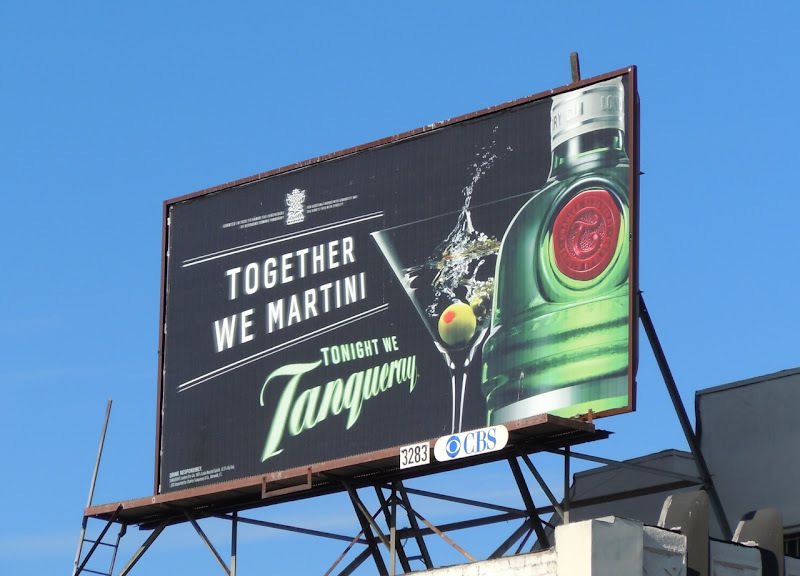 There's nothing depressing about old Mother's Ruin in these ads. 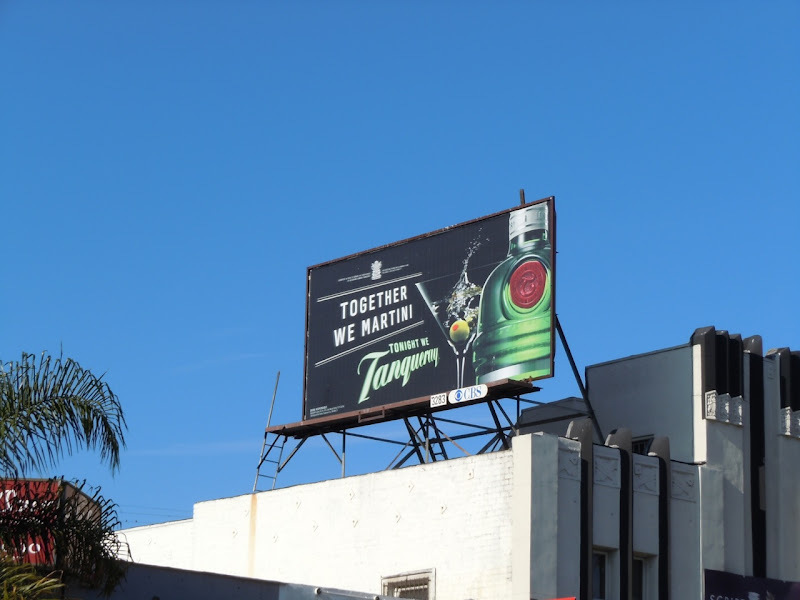 UPDATED: Here's a new 'Tonight we Tanqueray' billboard making a bold statement along L.A.'s Sunset Strip in West Hollywood. 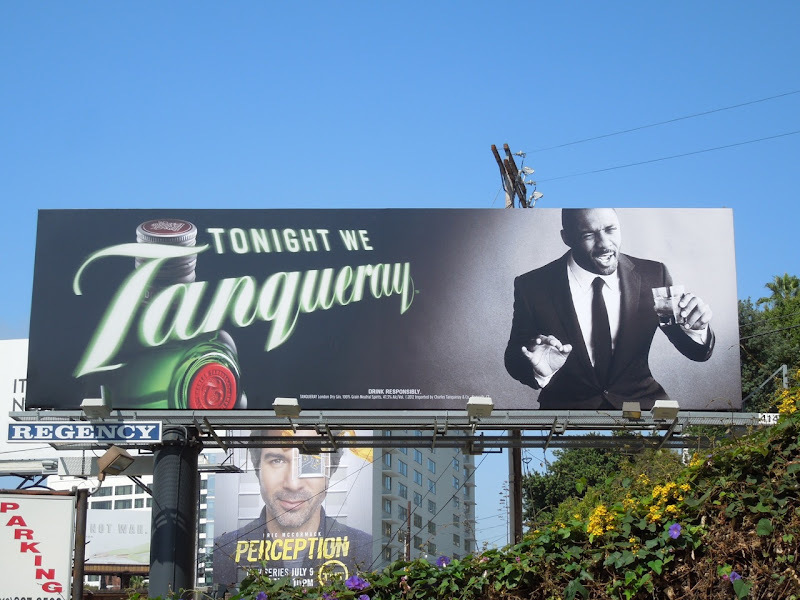 Luther and Prometheus star Idris Elba makes the British gin look super-cool in this ad opposite the infamous Standard Hotel on July 7, 2012. 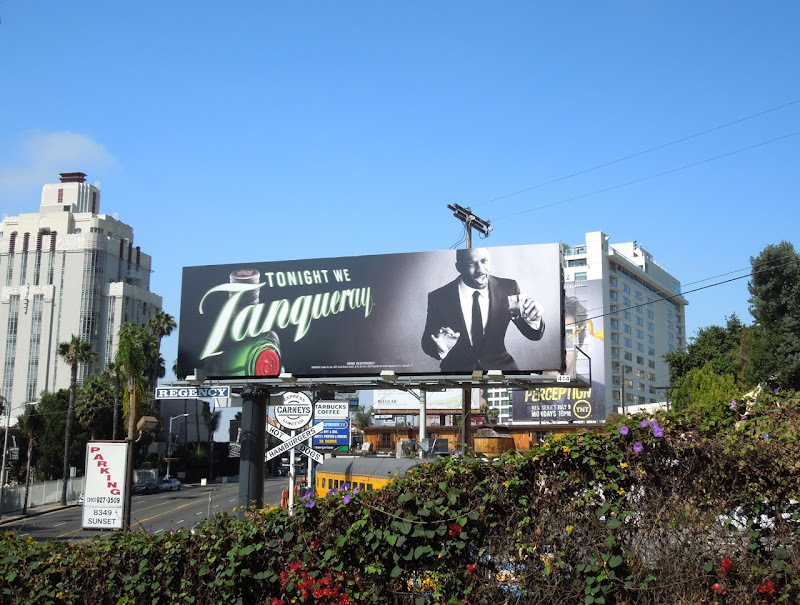 UPDATED: Here's another cool Tanqueray billboard snapped in the same location along Sunset Boulevard on August 6, 2012. 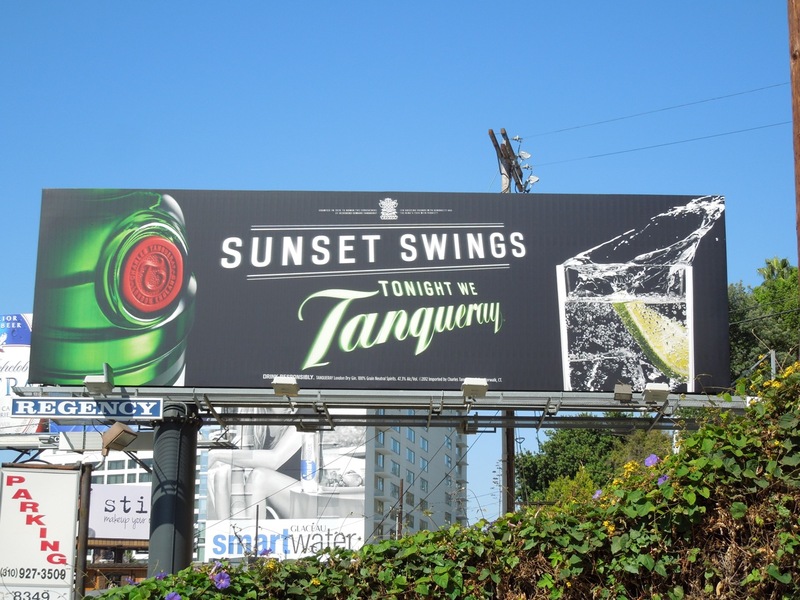 This ad has even been given a local feel with its 'Sunset Swings' tagline, just in time for the annual Sunset Strip Music Festival on August 16, 17 and 18, 2012.